If you’re like me and are used to getting your Disney fix at Walt Disney World Resort in Florida, these Disneyland tips will help you make the most of your next visit to the park that started it all and keeps growing! 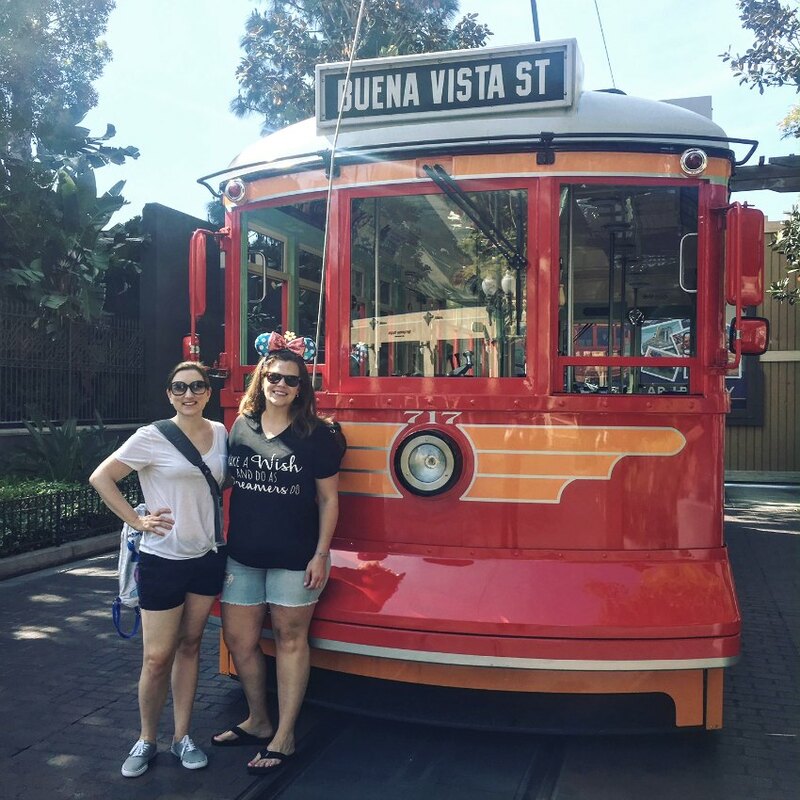 After attending the awesome Mom 2.0 conference in Pasadena, my friend Erin and I decided to see how much Disneyland Resort fun we could cram into one day. And thanks to the folks at Disney Parks for providing admission for us, I get to tell you all about it! 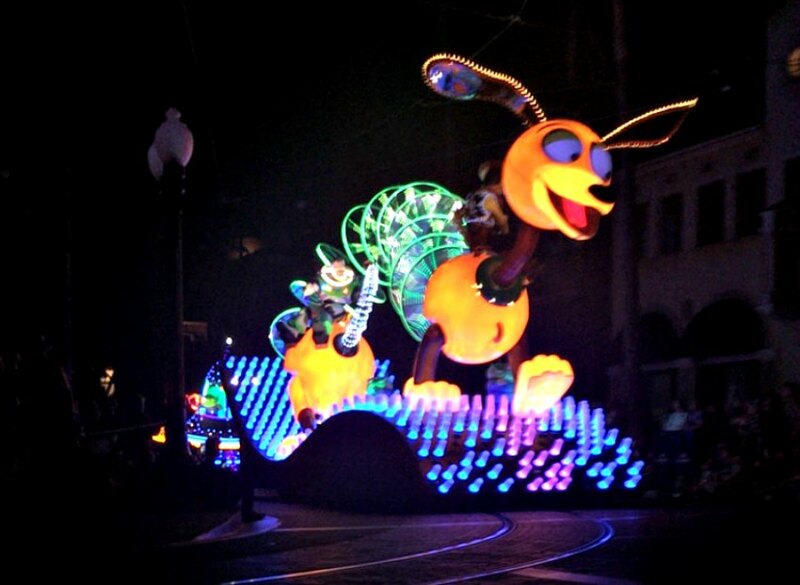 Here are my top 5 Disneyland tips for Walt Disney World regulars. And my top 25 photos (oops)! 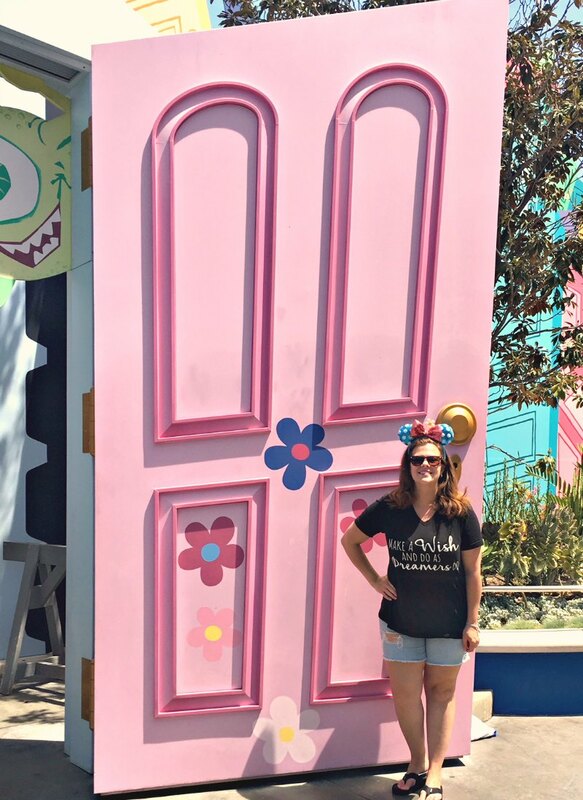 If you’re looking for what to wear to Disney, I have ideas for that too. OK so everybody neat and pretty? Let the memories begin! Jumping right in, this is my number one tip for visiting the Disneyland parks. If you’re a Walt Disney World regular, you are familiar with making FastPass+ selections ahead of time. Disney MaxPass is sort of like this but wow, I think it might be better! Maybe? It’s pretty dang amazing. Before you go, make sure you have the Disneyland app on your phone. Then, if you don’t have your tickets yet, you can add Disney MaxPass ahead of time when you buy them online (my recommendation). 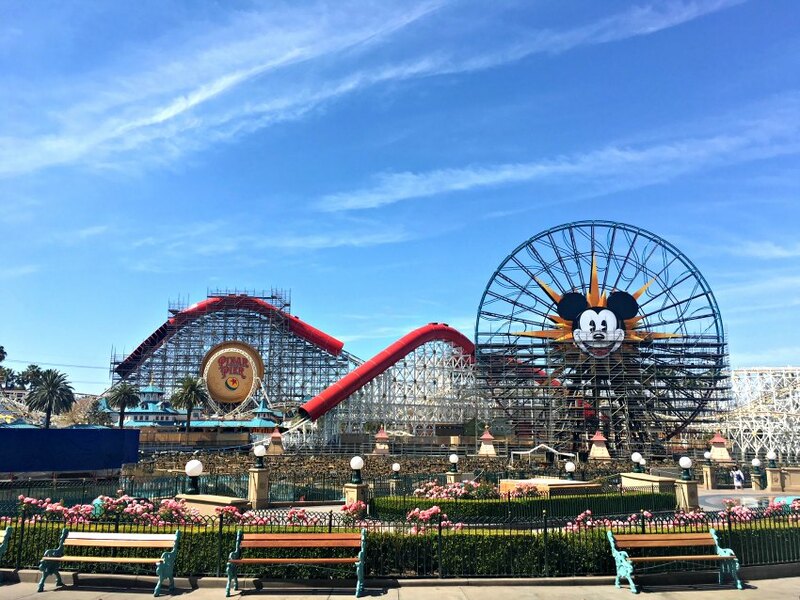 If you already have tickets, you’ll have to wait until you enter either Disneyland Park or Disney California Adventure Park and then scan your tickets into the Disneyland app to add Disney MaxPass. This isn’t hard but it’s an extra step that takes time away from your day. That said, it’s still worth it! At an additional $10 per ticket (per day) this is an amazing service. OH and did I mention it also gives you access to ALL of your Disney Photopass photos from the day? Y’all. Get Disney MaxPass. OK so you have it. Now what? Here’s the fun part. 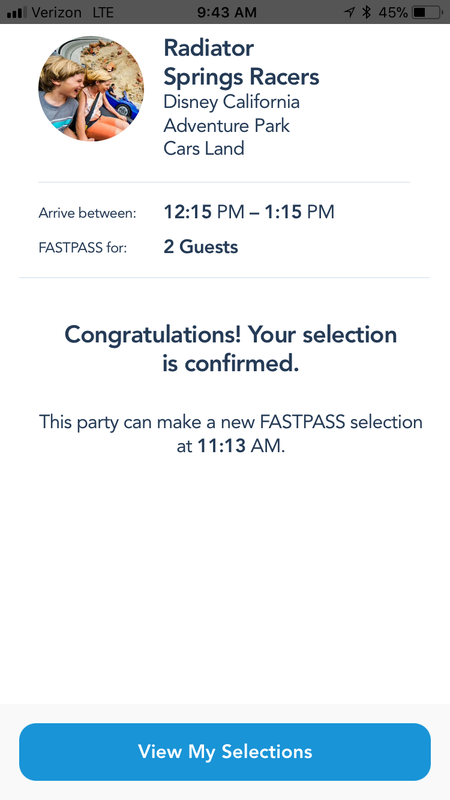 Make your first FastPass selection! And it should go without saying that I LOVE that you don’t have to use your selection before making another one! That’s right. When you make your first selection, you get the same 1-hour window, but beyond that the app tells you when you can make another one. AND the times can overlap. YES. I was a pro by the end of the day and I can only imagine how many attractions Disneyland regulars are getting. We did every popular attraction we wanted to experience in both parks and still had time for lots of snacks and entertainment. Yay! Points for technology. 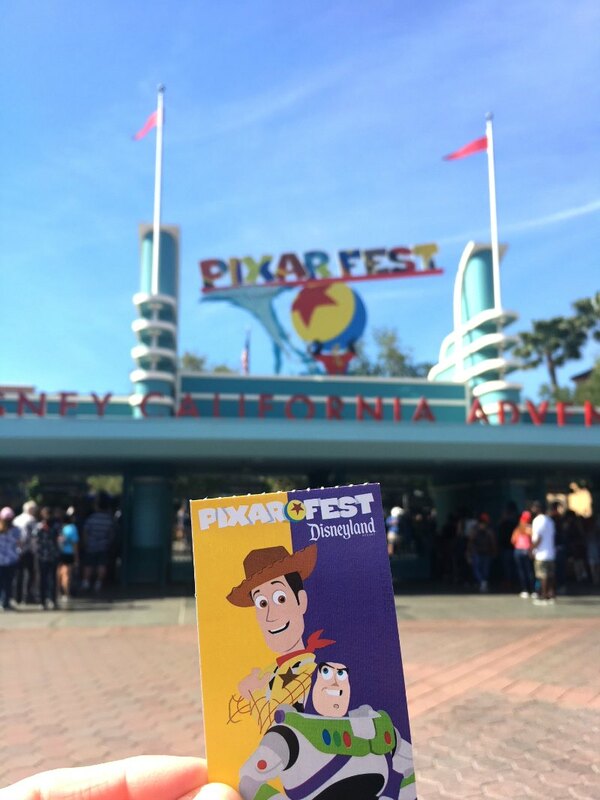 When I visited, Pixar Fest was in full swing at both at Disneyland Park and Disney California Adventure Park. 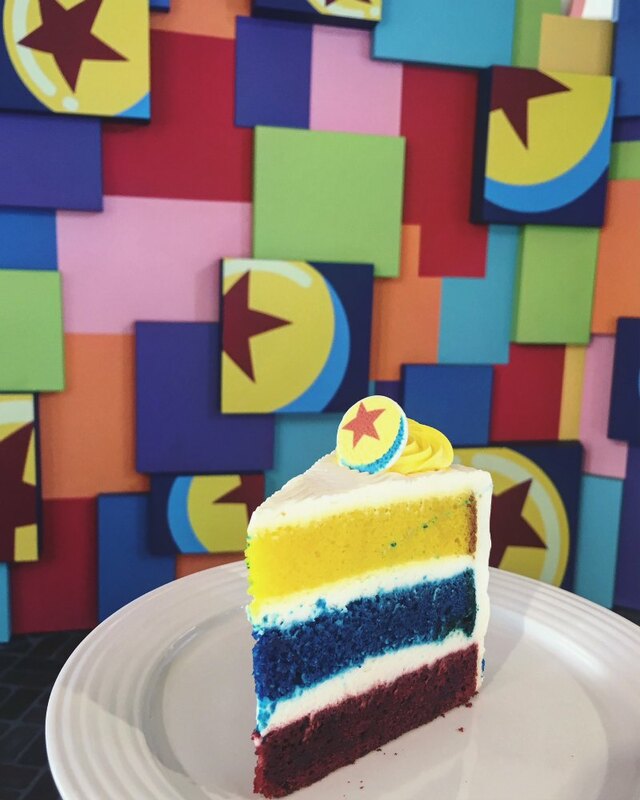 I loved the fun Pixar touches all around and I only wish I could return to experience the amazingness of Pixar Pier! My Pixar fun started with a Buzz and Woody paper ticket, which got me SO excited for the Toy Story Land opening at Walt Disney World. But that’s a story for another day! Yes, Disneyland still has paper tickets and I love them. You never know which character you will get and they make such a cute little souvenir! The snacks at Disneyland Resort are kind of legendary so we made it our mission to try as many as we possibly could. 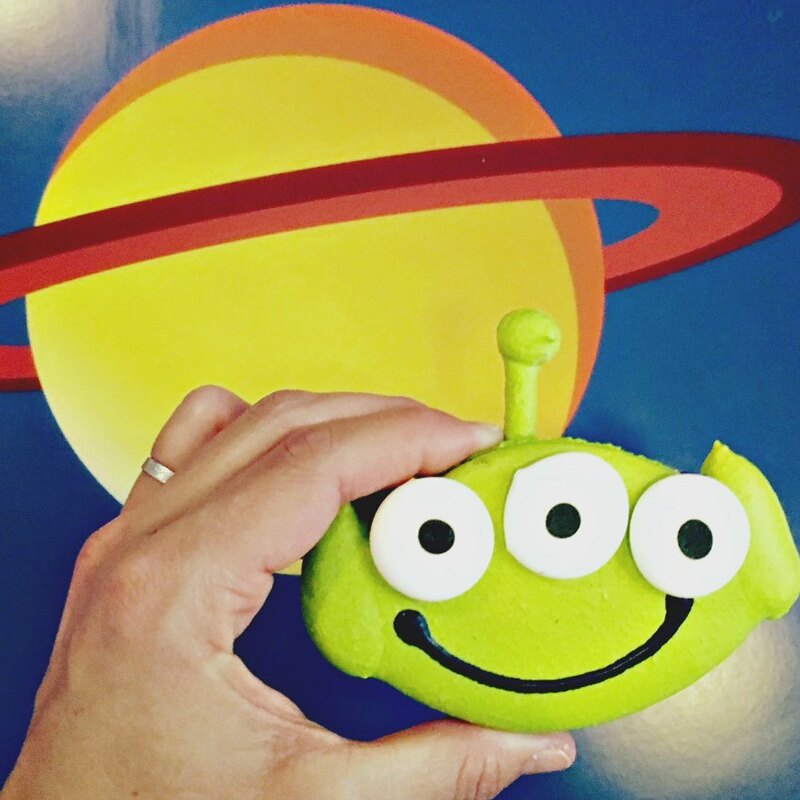 Award for cutest food I’ve ever seen definitely goes to the Alien Macarons at Alien Pizza Planet in Disneyland Park. Look how big they are! And the filling is a nice berry flavor with lemon in the center. Yes, please! 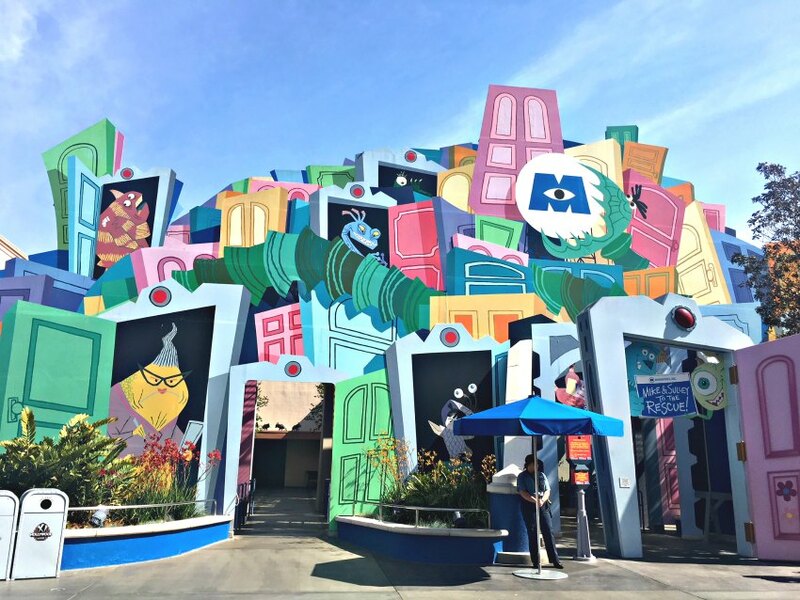 Back over at Disney California Adventure Park, I had to check out Monsters, Inc. Mike & Sully to the Rescue! 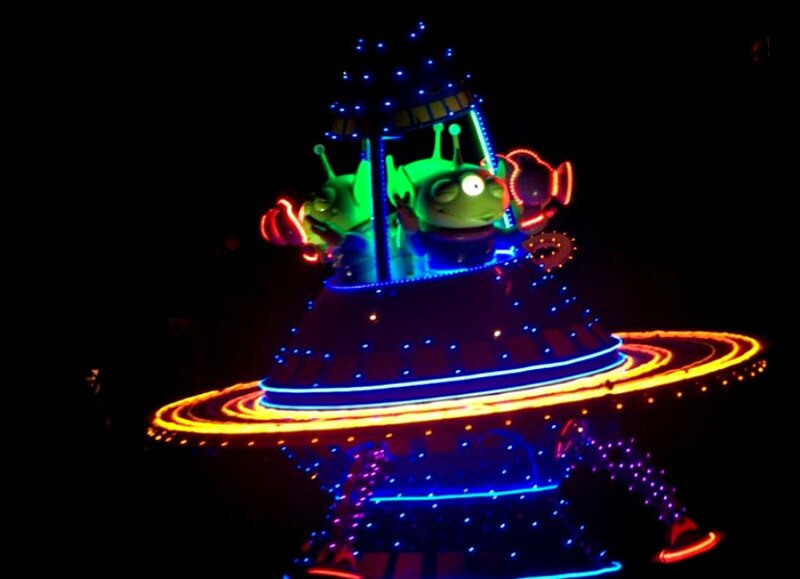 This isn’t a new attraction for Pixar Fest, but it’s one I missed when I last visited Disneyland Resort with my hubby. Plus, Disney photo op! And of course Cars Land in Disney California Adventure Park is a must-do no matter when you visit. 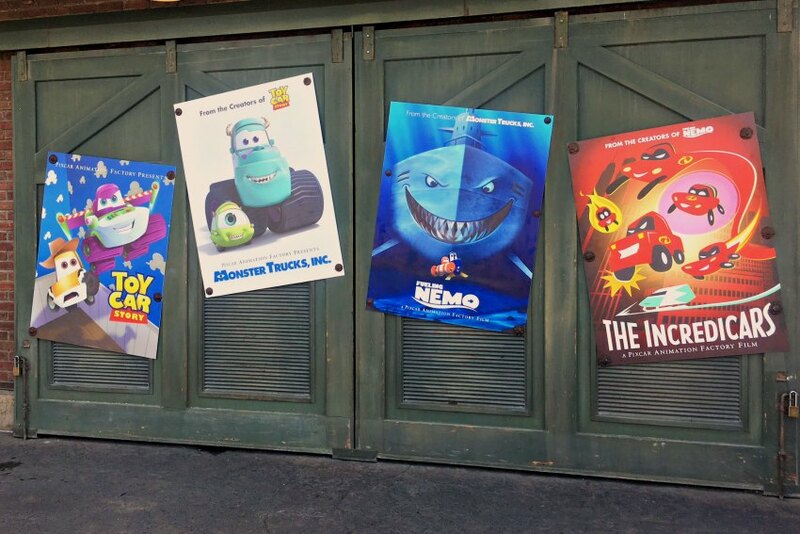 I loved the extra Pixar touches that tied these characters in with other films. 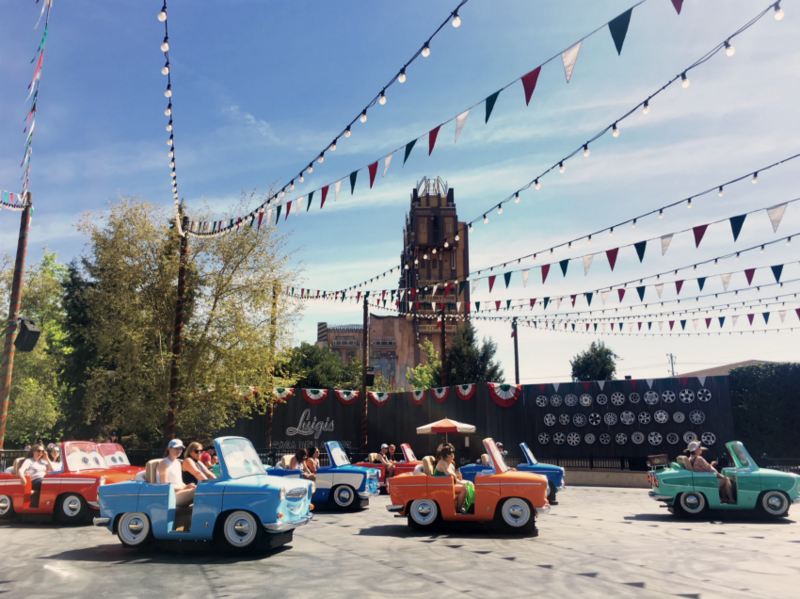 Have a need for speed on Radiator Springs Racers? There’s a FastPass for that. 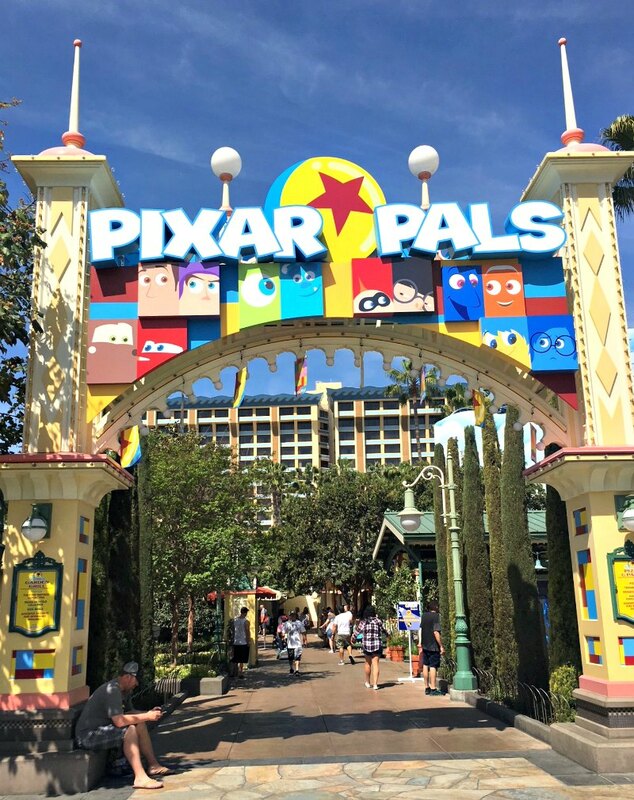 Finally, one of my favorite spots during Pixar Fest is Pixar Pals at Paradise Gardens. This is a one stop shop for live entertainment, character meet and greets and yummy food! We were there a little early but enjoyed our lemon-raspberry cake while the queue for Buzz and Woody filled up. Honestly, this is such a pleasant little area. It’s almost as if we weren’t in the park at all! 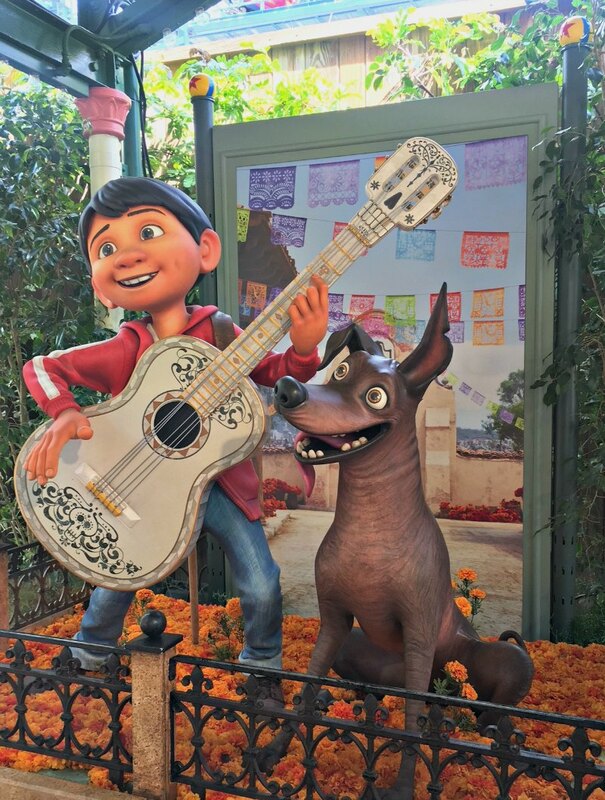 Yes, you may meet many of the same characters at Disneyland Resort that you might find at Walt Disney World. But there are plenty of opportunities to meet old and new favorites as well! One of my favorite perks of being a Disney Visa Cardholder is the special meet and greet for Disney Guests. 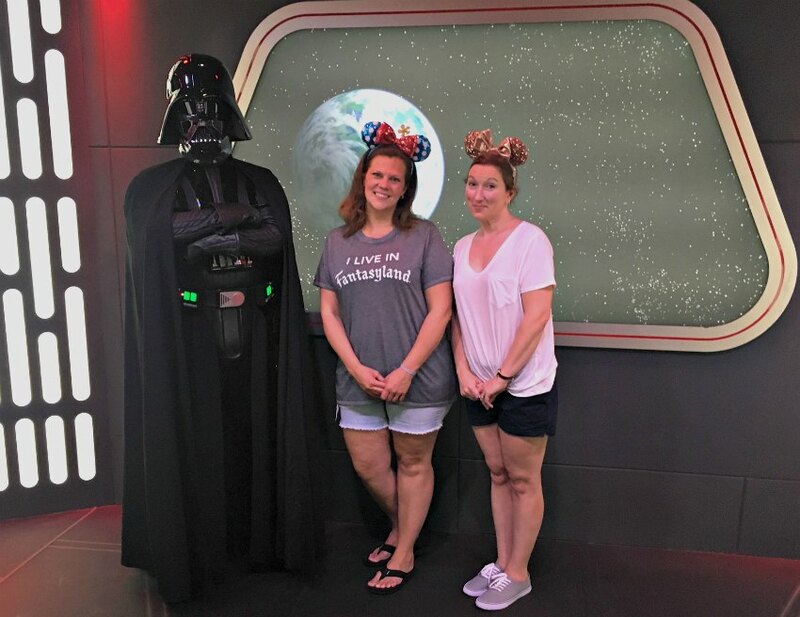 When we checked it out inside Star Wars Launch Bay in Disneyland park, we were met with none other than Darth Vader! He’s been absent from Walt Disney World greetings for a while now so I felt like we lucked out! And Marvel fans, it’s like an MCU paradise over in Disney California Adventure! 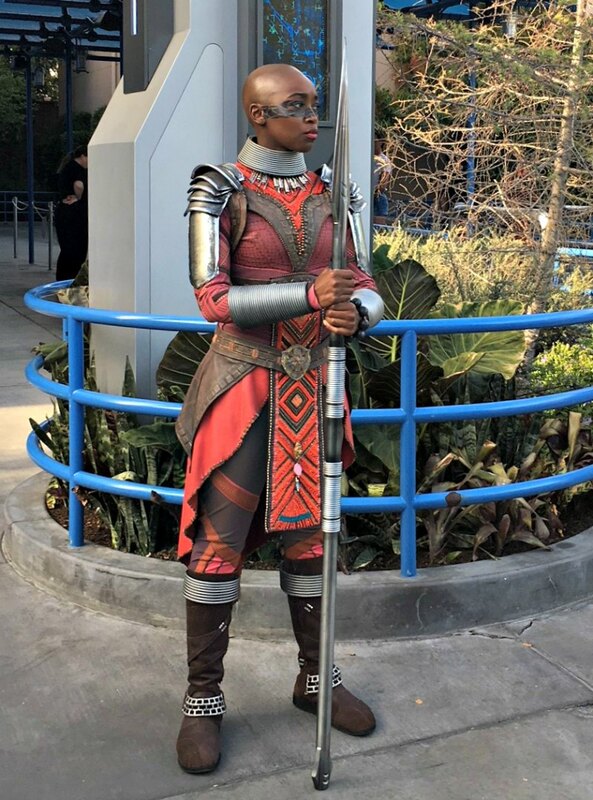 Can you Say Dora Milaje? 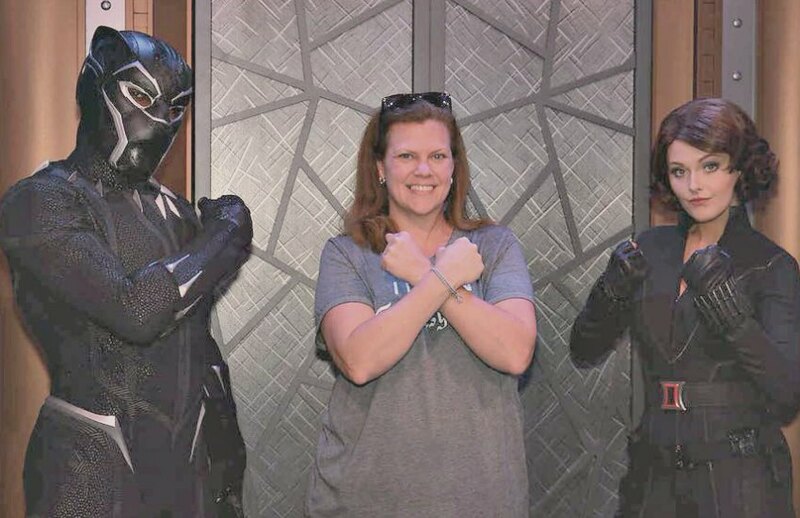 Black Panther and Black Widow?! Not to mention others like Thor, Loki, Gamora and Captain America?? Come on. Seriously, you could spend a whole day meeting amazing Marvel characters. Point for California. 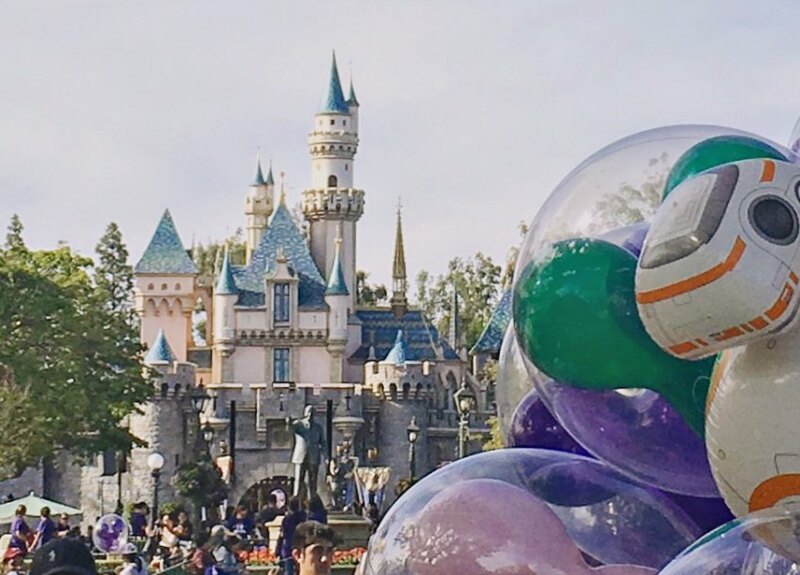 Haunted Mansion, Tower of Terror, Space Mountain, it’s a small world and many more are not the same on both coasts and it’s so fun to see how different they are! On my first visit, I concentrated on attractions we didn’t have at all in Florida and skipped a lot of the “duplicates” so this time I wanted to experience them. Of course all it takes is a look at Sleeping Beauty Castle to know we’re not in Florida anymore, but I love that there is familiarity with a twist. 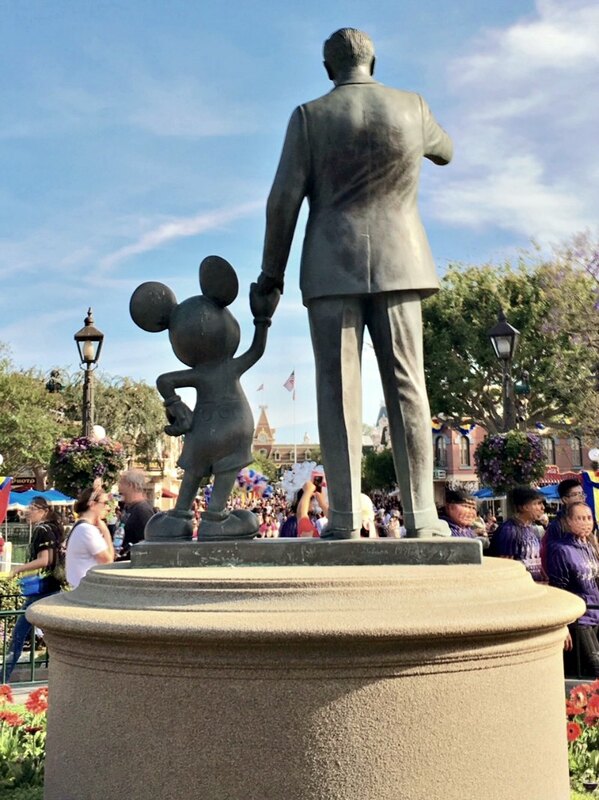 For instance, the Partners statue is a Disney Parks mainstay and photo op for any Disney fan. And it’s fun to see Walt’s Main Street, U.S.A. the way he saw it. 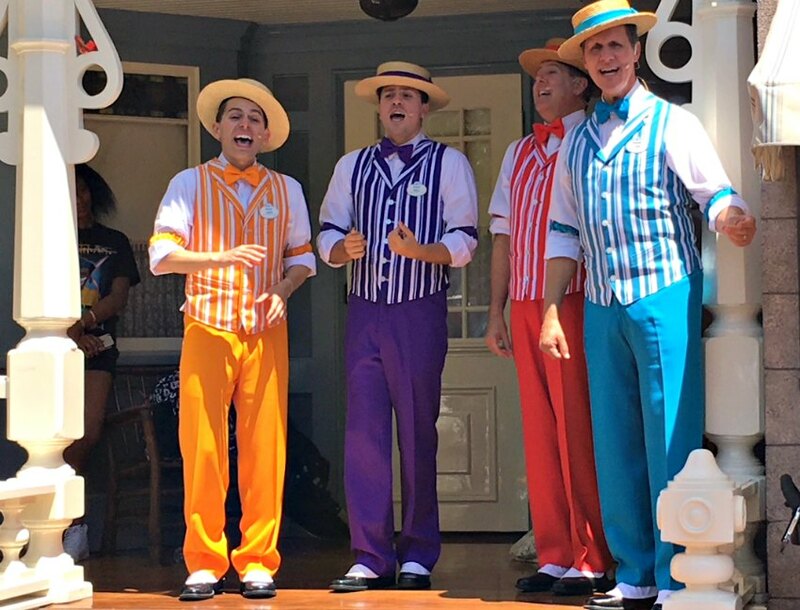 And speaking of Main Street, U.S.A., you’ll still find an Updyke family favorite, The Dapper Dans singing their hearts out. What’s different about them here? Well, for one thing, they are mic’d which I LOVE because you can hear them from farther away. Also, during Pixar Fest you might just hear a few favorite Disney songs mixed in with the old barbershop standards. Hyperspace Mountain is legit amazing with the Star Wars overlay. 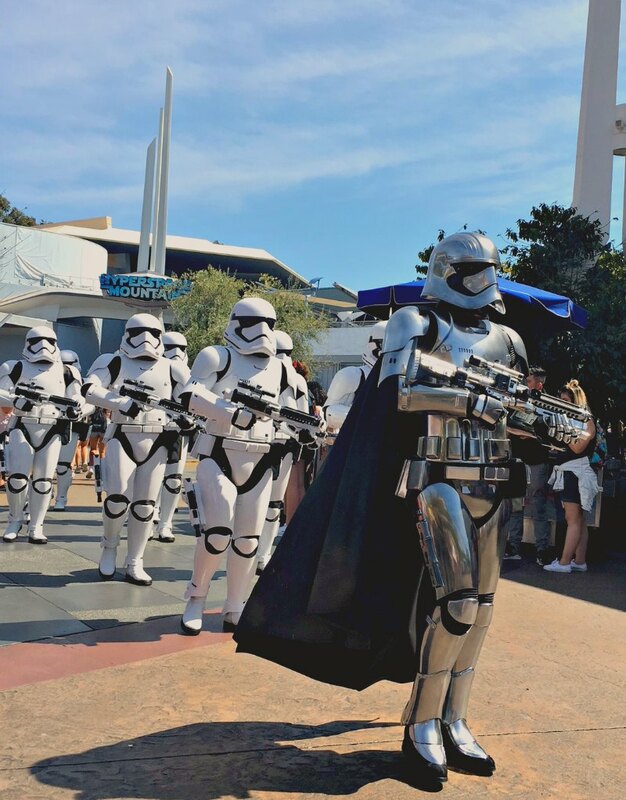 And you can even catch Captain Phasma marching the First Order through Tomorrowland (rather than Hollywood Blvd. in FL) which is so fitting! Some attractions really share a name only. 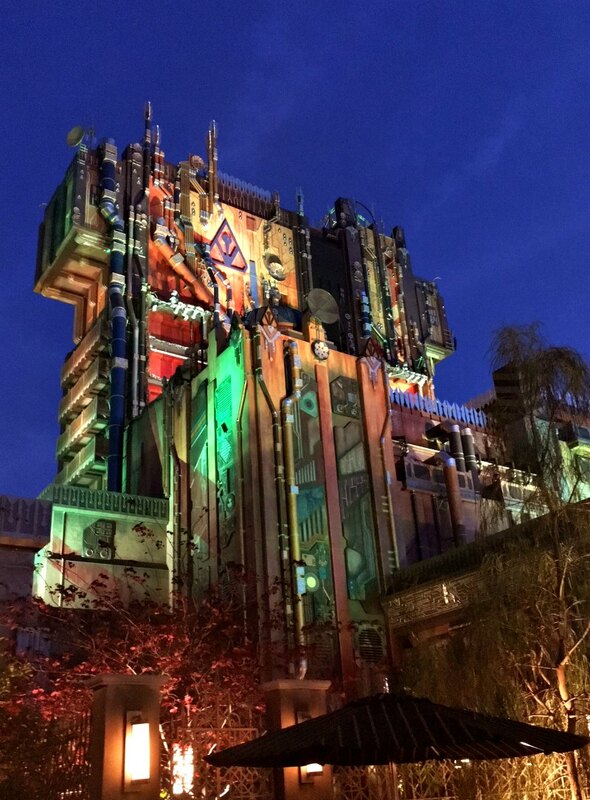 Or maybe even only a similar looking building as is the case with the re-themed Guardians of the Galaxy – Mission BREAKOUT! Real talk, I’m not a Tower of Terror person. Sure I’ve done the ride a few times and I can be talked into it. But if no one is asking, I will walk on by. I knew I had to do this one though because Guardians! I mean, I love them so much. This was our last ride of the day and oh my goodness we screamed our hearts out. It was SO MUCH FUN. Definitely a must-do thrill ride. Perfection. You would think I’d be a charger-carrying Disney pro by now. But after my conference, my portable charger decided to stop working and I was out of luck for our park day. I brought my backup backup charger (yes I have that) but it didn’t last very long. After getting some unfortunate misinformation, I thought I wouldn’t be able to get a Fuel Rod (which is the answer to all charging problems in Walt Disney World), but I since learned that was wrong and you CAN get them all over Disneyland Resort. Yay! 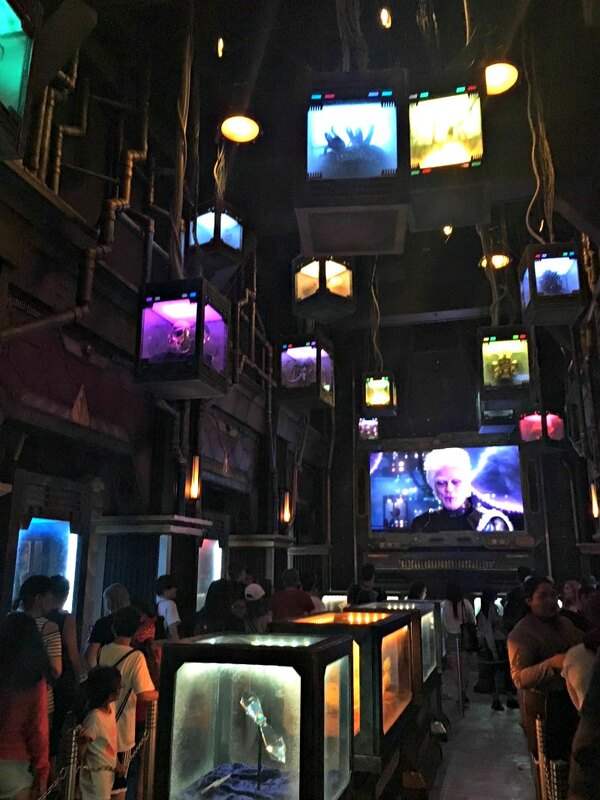 Check out this post about Fuel Rods at Disneyland and save your juice! But I have one more amazing magical Disney moment to share. 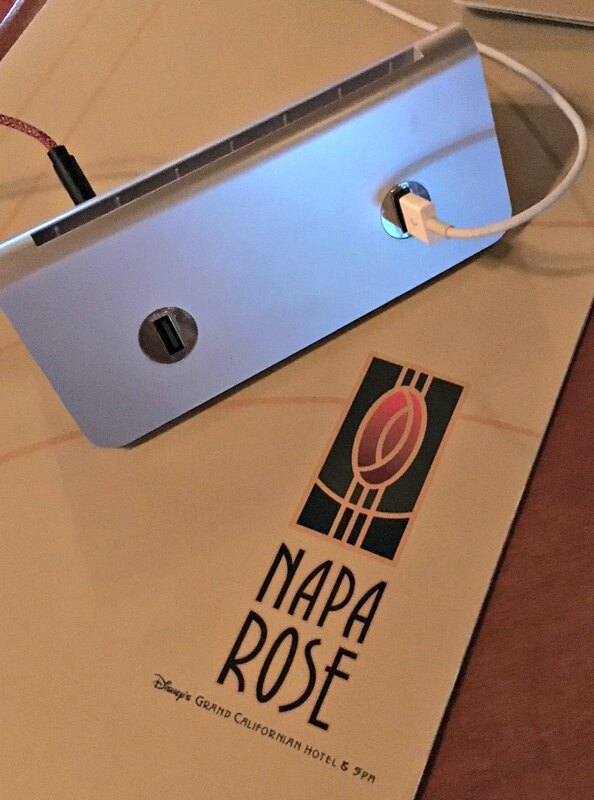 One of my favorite places to eat is at the bar in Napa Rose located in Disney’s Grand Californian Resort. You can go right in from Disney’s California Adventure Park (the entrance is near Soarin’) and walk right in. Eating at the lounge is a fantastic and comfortable way to rest your feet and enjoy an amazing meal. AND when we mentioned needing to charge our phones, y’all they straight up gave us a charging station for our table. WHAT?! Talk about amazing service and perfect timing! We were all charged up and ready to enjoy the spectacular Paint the Night Parade for which there is NO comparison anywhere. It’s amazing so find a spot on the curb, grab a snack or a drink and enjoy the show. Guys, this was all in one day. ONE day!! And this isn’t even everything we did. We hopped back and forth between the two parks with ease, Had two wonderful meals, met characters and did nearly every ride we came for and then some. While I could have spent another two or three days there, we had such a full day I returned home completely satisfied. You can be sure the next time I have the chance to spend a day at Disneyland, this Florida native will be there with bells on.